1. decomposing or decaying; putrid; tainted, foul, or bad-smelling. 2. corrupt or morally offensive. miserable: a rotten piece of work; a rotten day at the office. 4. contemptible; despicable: a rotten little liar; a rotten trick. Parenting is hard. Co-parenting even more-so especially with the one other person on the planet that you despise the most, but it MUST be done. Rotten parents, unfortunately, exist and some even thrive at their rottenness. Seldom, it seems, are they actually held accountable for their conduct. Bad mouthing the other parent to the child. Being unreasonable in your demands to spend time with the child. Being unreasonable in the other parent’s requests for additional time. Unreasonably interfering with the child’s schedule. Creating an unreasonable schedule for the child to interfere with the other parent’s time. Perpetrating abuse against the child and/other parent. Using finances to the detriment of the child. So, what do you do as a “non-rotten” parent? You keep doing the right things. Every time. It’s what is best for your child. And when it’s bad enough, take action and follow it through. 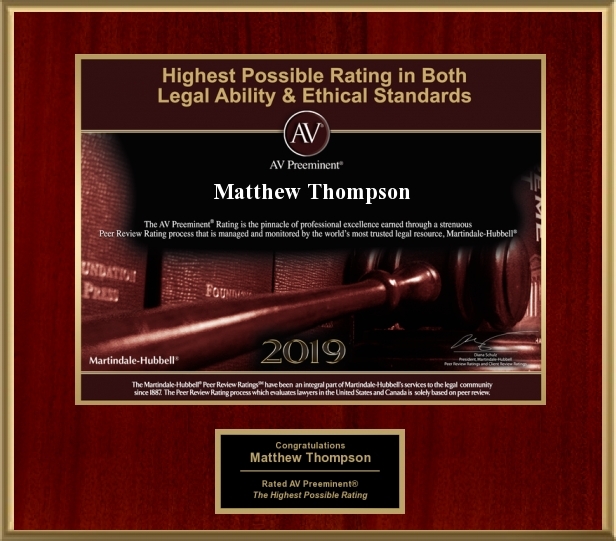 Matthew Thompson is a Child Custody attorney and warns against rotten parenting. Previous PostRaising Arizona…in Mississippi.Next PostYou’re FIRED!